This started out as a simple sketch on my iPhone but became its own thing in a very fast. Not to say that the work went quickly because that definitely did not! It's so cool to live in a world where painting on a mobile device is amazing to say the least, but it can be much more time consuming as well. I am pretty pleased with the results. 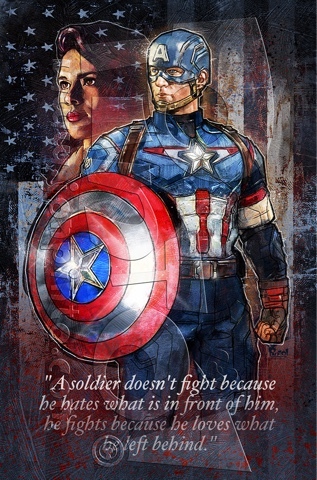 As I already stated, this kinda grew as it went and Peggy was not really in the plans but when I found the quote to put at the bottom, it HAD to have her!